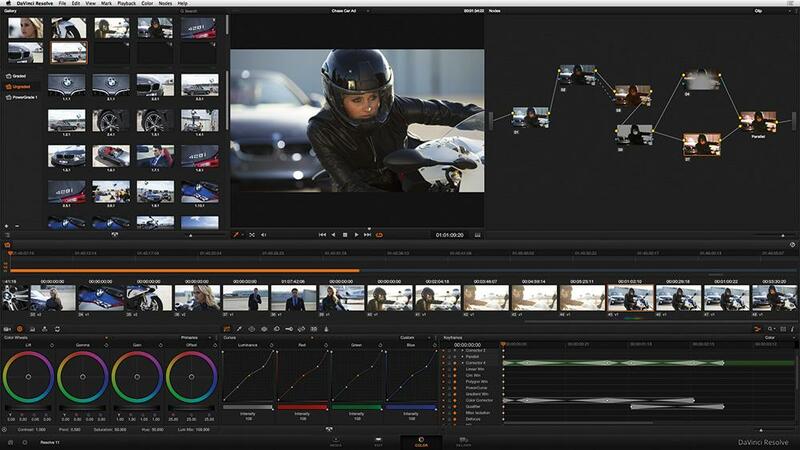 Blackmagic Design today announced its acquisition of eyeon Software, Inc., a leading developer of high end digital compositing, visual effects and motion graphics software for the feature film, commercial, television and broadcast industries. eyeon, headquartered in Toronto, Canada, is now a wholly owned subsidiary of Blackmagic Design. eyeon will continue to support its customers and expand its sales channels with the added strength of the Blackmagic Design organization. eyeon will also continue developing solutions for the VFX and post production industries, including its flagship application, Fusion. eyeon Software develops Fusion™, an award-winning compositing application that has been used on thousands of feature film and broadcast projects for over 25 years. eyeon artists have contributed significant work to recent box office successes, such as Maleficent, Edge of Tomorrow, Hercules, Gravity, Noah, White House Down, The Hunger Games (1, 2, & 3), The Wizard of Oz 3D, Orphan Black, Star Wars In 3D, The Amazing Spider-Man (1 & 2), Journey 2: The Mysterious Island, Prometheus, Immortals, Game of Thrones, Anonymous, Captain America, Priest, Sucker Punch, Unknown, The Social Network, Gnomeo & Juliet, Chronicles of Narnia, Prince of Persia, Avatar, 2012, Alice in Wonderland, New Moon, G.I. Joe, X-Men Origins, Twilight, Iron Man, Journey To The Center Of The Earth 3D, 9, 300, Spiderman, Harry Potter and the Order of the Phoenix, Happy Feet, Sin City (1 & 2), and many more. In addition to Fusion, eyeon develops Generation® 4K, a breakthrough 4K playback system, Generation® AM, the asset management front end desktop for visual effects, Rotation®, an advanced rotoscoping system, Dimension®, a suite of tools designed for stereoscopic and image improvement challenges, Connection®, a bridge between Avid® and eyeon products, and now EPP®, a host of scripts and workflow solutions.